Rolando, that's one sooper-schweeet scope! Congrats!! Couldn't pass it up for the $$. Under the circumstances, I'll probably keep it and sell the FS128 and AP130GT. first I'll do some DPAC, star testing and side by side to make sure all is good. It's a handful. The spacing of the front element is crucial to the correction of the system. I'm being very careful with everything. The DPAC will confirm the correction which I believe should be 2.0mm. I'll take my time and dial it all in. I'm having the Japanese collimation instructions translated for me. Edited by rolo, 06 December 2018 - 06:07 PM. Why am I thinking there was a blue one? The colors do vary a bit Chuck. Here’s the set from my (daughter’s) 6344. You can see that the blue is pretty blue. It’s close to a Grumbacher Thalo Blue (from my old art school days, or daze! ). 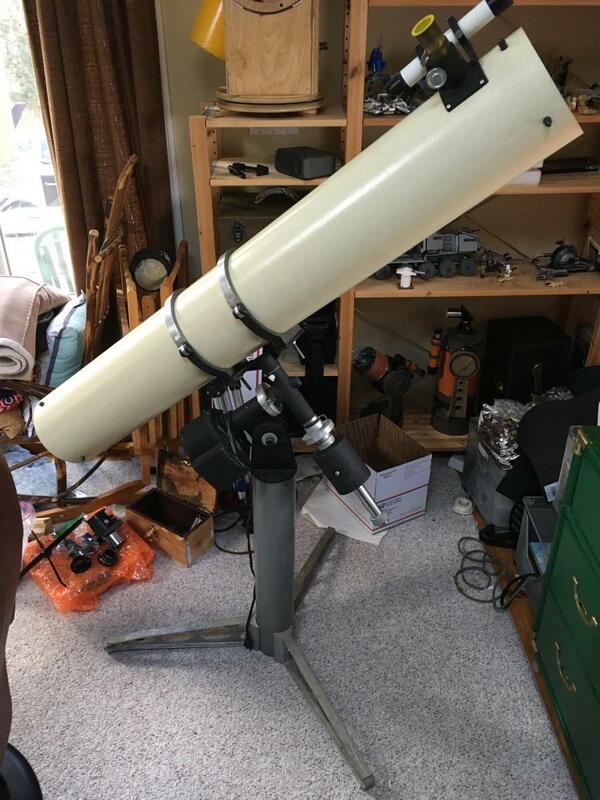 I sold this set this past summer after I converted her 6344 permanently to 1.25” and gave her a nice matched set of Seven Plossls from 40mm to 6mm to go with the scope.  Edited by Chirp1, 06 December 2018 - 06:25 PM. I remember taking the blue one apart in the back yard at age 13. That was not a smart move as the little lens got lost in the grass. That would be a very interesting shoot out ! Congrats the scope is a beauty !! Sometimes this group makes my head spin. Probably do shoot out in Spring, I just can't handle cold weather in my condition. "I'll probably keep it and sell the FS128 and AP130GT." oh my goodness and someone just mentioned makes your head spin? Edited by Defenderslideguitar, 06 December 2018 - 07:56 PM. "I completely agree! As you can see from my sig, I have lightened the load as well. And now down to only three set up for display, and all in one room. The 3” Unitron on its beautiful GEM and tripod, the iconic orange C8, and the lovely little Zen Swift 839 are on display in three corners of the dining room, everything else is easily stored. It‘s nice to be more minimalist." Say T I think I recall that you deforked the C-8? If so how do you have it set up? Edited by Defenderslideguitar, 06 December 2018 - 08:36 PM. I didn't see these on the CL/dBay ads thread. I shot the seller an offer and he countered just five bucks more, so I pulled out my wallet. I know the Kellner is good, I have a few of those in black. The others are just for the color coding. They look to be pristine. Which ones am I missing? I thought I posted those, but it might have been at the end of Nov. I believe I pointed out the early C90 diagonal. Its another Rolo scope rescue. 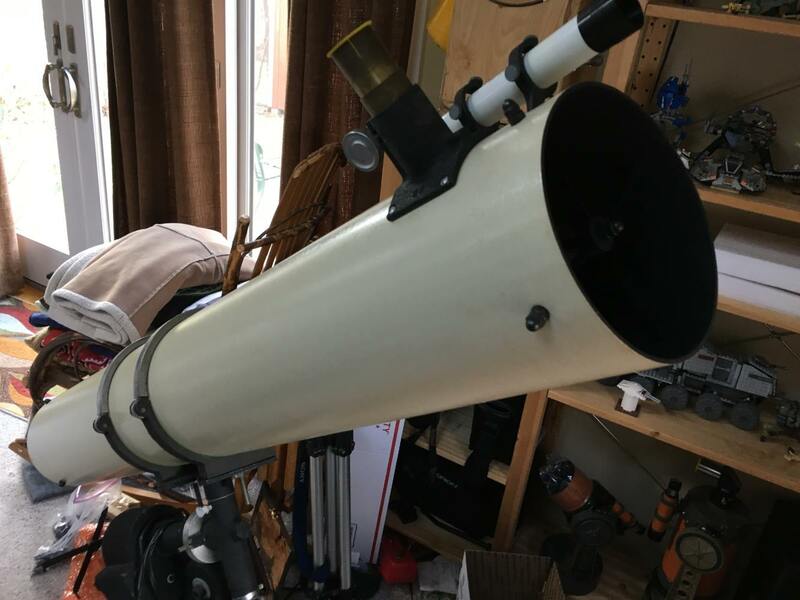 This scope had been sitting for years and needs to get back under the stars. Glad I got it cause the optics can only get worse if not cleaned. Edited by rolo, 07 December 2018 - 08:06 AM. Not sure how you find these scopes. I just never see them in FL for sale. I would have been too scared to touch it if i had to remove the lens and sending it to be cleaned would have cost too much so i am sure i would have passed at even $2k. Total price for service in Japan is around 700-800 so at $2000 it would still be a good deal since they sell for $4000. Picked this one out of your back yard in Jacksonville. I don't ever see ads from that city so not sure how you find all these scopes in that city kitty. I think you found more than one scope there if i remember right. It never crossed my mind to try a TOA as the prices are way over what i would pay. I can deal with a FS128 at under 3.5k but once you get into the 4k and up scopes i just pass unless it is some crazy deal to flip right away. I really don't care what a telescope costs as long as I could sell it for the same or more. Putting a dollar limit would never let me enjoy the best scopes on the planet. Besides, you can spend more on a collection inferior scopes...live and learn Stern. Edited by rolo, 08 December 2018 - 08:34 AM. I am just over loaded with scopes at this time. If i know i can get my money back i buy scopes in the SUB 4k range. 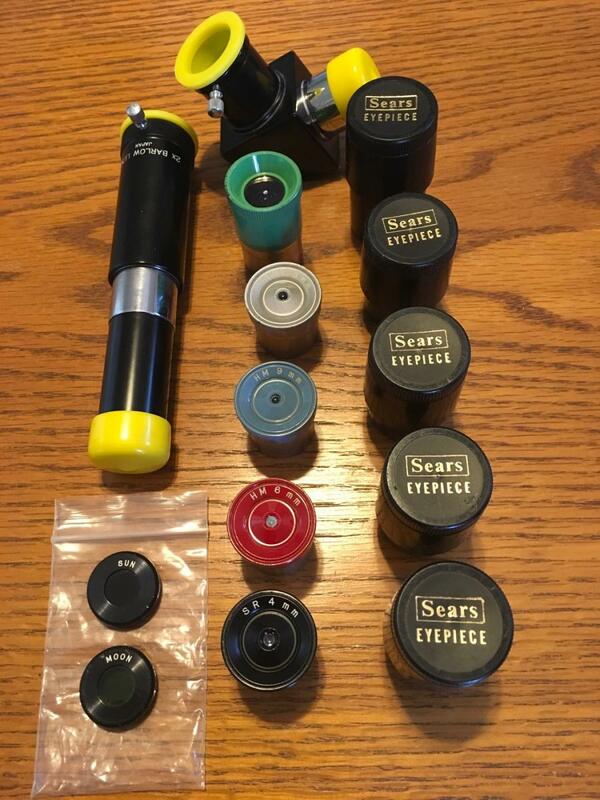 Just shipping these pricey scopes scares me to death. 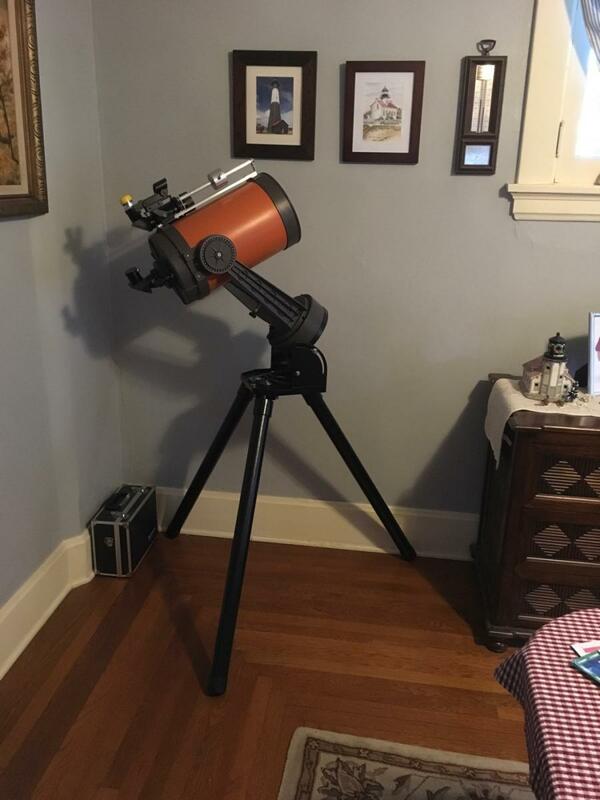 Most i ever spent was around $8k on a 14.5" Starmaster and next up was that Meade 7" ED dud i traded 6k worth of stuff for. A big thanks to Dave for selling his classics. I now have a complete Brandon 94 on an alt-az mount, which I prefer because my Brandon 130 is also on an alt-az mount. Both of my Brandon’s were purchased from their original owners and the 130 came with the mount. The 94 was missing its mount and clamshell when I bought it, but was loaded with a plethora of eyepieces, filters and other items. Since I have a Unitron 142 mount, I can use the Brandon 94 in either EQ or alt-az mode now.